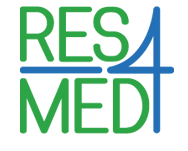 On 4th July 2018 Intesa Sanpaolo officially joined RES4Med&Africa as an Ordinary Member. The membership was officially presented and signed during the RES4Med&Africa Strategic Committee meeting held on 4 July in Rome between RES4Med&Africa’s Secretary General Roberto Vigotti and Intesa Sanpaolo’s Global Head of Energy & Utilities Luca Matrone. “We are delighted to welcome Intesa Sanpaolo as a new Member of our association. We look forward to collaborating with one of the most respectable Italian banks for new projects, and Intesa Sapaolo’s expertise in the field opens up new and exciting perspectives” stated Roberto Vigotti. “Becoming members of RES4Med&Africa is very important for us: we are very committed to sustainable development, and we too look forward to collaborating with fellow RES4Med&Africa members on promoting renewable energy in the Southern-Mediterranean and Sub-Saharan Africa, markets we believe will grow significantly in the coming years”, added Luca Matrone. Intesa Sanpaolo is among the top banking groups in the euro zone, with a market capitalisation of 41.9 billion euro, and leader in all business areas in Italy, with 12 million customers and over 4,600 branches throughout the country. Intesa Sanpaolo has a strategic international presence, with approximately 1,100 branches and 7.7 million customers, including subsidiaries operating in commercial banking in 12 countries in Central Eastern Europe and Middle Eastern and North African areas, and an international network of specialists in support of corporate customers across 23 countries, in particular in the Middle East and North Africa and in those areas where Italian companies are most active, such as the United States, Brazil, Russia, India and China. 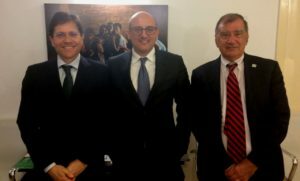 Left-right: RES4Med&Africa’s President Antonio Cammisecra, Intesa Sanpaolo’s Global Head of Energy & Utilities Luca Matrone, RES4Med&Africa’s Secretary General Roberto Vigotti.